I have covered some of the more commonly known things, like the seat, the monitor and the weight, that you should consider when buying a rower. Still, lesser-known considerations remain that I would like to mention. In this article, I take a brief look at other important aspects of your decision to buy a rowing machine. They include price, ease of maintenance, and assembly. These all deserve your careful attention and they can also have a great impact on your buying decision. It goes without saying that you should choose a rower that is well built, but I will say it here anyway. A rower that is constructed with strong, durable materials not only will last a long time, it will be more stable during your rowing workouts and have a higher weight capacity. Solid steel, high quality aluminum and even some woods are good materials for durable rowers. If a rower has a lot of cheap plastic parts, you might want to stay away; it will most likely not last very long, especially if you plan to use it regularly. If being able to watch your TV or listen to music is important to you, then you’ll definitely want to check out the noise level of a rower before you by one. Unfortunately, you will find that many modern pieces of exercise equipment like treadmills with iPod docks and video screens, those features on a rower would be rare. The best you can hope for is to be able to hear your TV or stereo over the noise that your rower makes. Fortunately there are some rowers that are virtually silent. Water and magnetic resistance rowers are known to be very quiet when you are rowing. If you need a rower that doesn’t make a lot of noise, you may want to start your search by looking at these models. On average, you will need a solid 60 minutes to put a rower together, but I have reviewed some models like the Sunny Health & Fitness Rowing Machine that will take less than half that time. 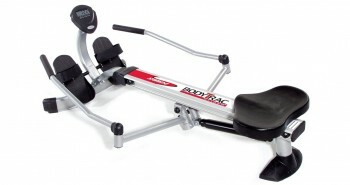 Assembling a rower is generally simpler than the process to assemble a treadmill or workout bike. More expensive models with all the bells and whistle may also require more time for assembly. I always say that any rower over $1,000 should come complete with its very own technician to assemble it. In any case, the majority of rowers do come with all the tools that you will need to put them together as well as very detailed instruction manuals with diagrams. While most rowers that I have reviewed have a weight capacity of about 250 pounds, there are a few that can accommodate as much as 1,000 pounds. If you have a giant in your family who enjoys rowing, you can get them one of these high capacity models for their next birthday. The best rowers do tend to have higher weight capacities and this says something about how strong and sturdy a rower is. People who are more than 200 pounds should pay attention to the weight capacity on a rower to make sure that they are selecting one that can safely accommodate them. Also, very tall people will need to check the length of the rail on a rower and calculate if there will be enough room for their feet to extend when using it. This is not normally a problem with higher priced rowers; they are normally longer than the lower-priced models, which are sometimes made shorter to cut costs. 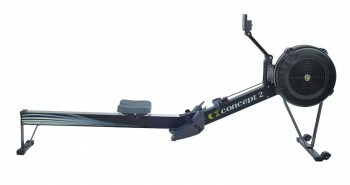 Once you spend your hard earned-money on a rower, I’m sure you will want to have it around for a very long time. 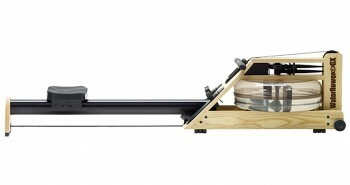 Regular maintenance of your rower is one way that you can increase its lifespan. I know the word ‘maintenance’ can conjure images of you in a grease-stained blue jumpsuit working tirelessly on your rower like a mechanic under the hood of a car, but maintaining a rower is not as difficult as it sounds. While it is true that some rowers will require more maintenance than others, you will find that just a few minutes of regular maintenance will go a long way to preserving the structure of most rower. To properly care for your rower, I would like to suggest a few things. First, you should use a shock-absorbent mat under your rower. This will help prevent the machine from slipping and it will protect your floor as well. Secondly, anyone who is using your rower should be within the manufacturer’s recommended weight range. If someone who weighs more than the weight capacity of the rower uses it, you risk damage to the rower because of the weight and you will risk your warranty being invalidated in the event that the machine breaks. Lastly I suggest that you check, clean and maintain your rower regularly to keep it in the best working condition. Price is a major factor for most people, but you should never let it be the only thing you consider. Many cheap rower models are poorly made and can end up costing you more in the end because of repairs or the cost to replace them. 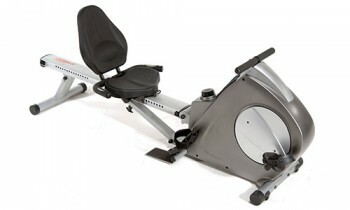 You can find rowers that cost anywhere from $100 to several hundred dollars; there is a rower for almost every budget. Examine your options carefully because most times you get what you pay for. At the same time, it is not always necessary to splurge on the most expensive rower that has all the bells and whistles, especially if you are not going to use them. 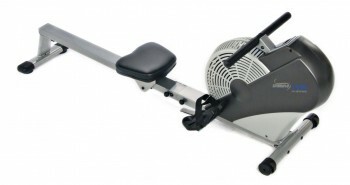 Find a few rowers that meet your requirements and then use price to narrow your choice. Your rower will, in most cases, come with some type of warranty. As you may expect, the more you pay for a rower, the better the warranty you tend to get (although this is not always the case). Very often the warranty on the frame is significantly longer than the warranty for parts and labor. Some frames even have a lifetime warranty when the manufacturers consider the frame to be virtually indestructible. There are also rowers that will have a different warranty for commercial use and residential use, so always read the fine print to know exactly what you are covered for. The average rower costs about $900 and, for most people, this is a significant financial investment. You want to take your time and make an informed decision. All the factors presented above should be considered, as they will help you to choose a rower that will best meet your individual needs and that will give you the best value for your money.